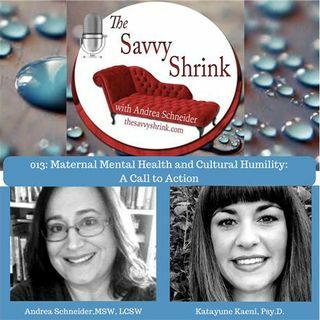 Katayune Kaeni, Psy.D., is a psychologist specializing perinatal mental health and the creator and host of the Mom & Mind Podcast. Dr. Kat has a private practice where she focuses on supporting new mothers and families. She volunteers with Postpartum Support International and works with San Bernardino Co.’s Maternal Mental Health workgroup as a subject matter expert to provide training to local mental health and allied healthcare providers.